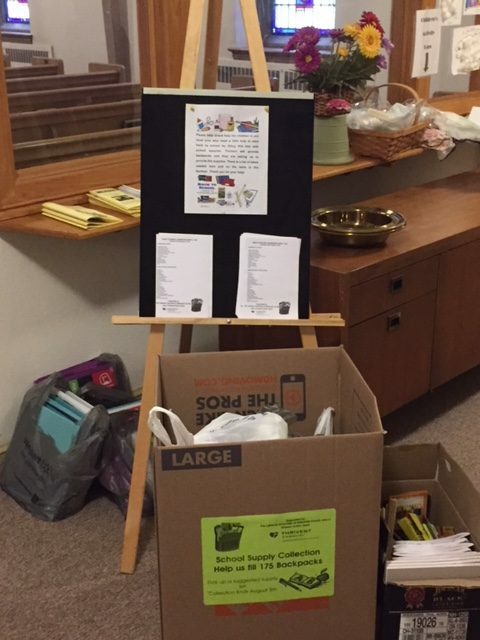 Grace Lutheran Church in Broomall and 14 churches in Delaware County joined together to fill 175 backpacks with school supplies. They will be donated to needy children in Upper Darby and Chester with some given to Marple Newtown. Many thanks to Thrivent for their support with financial assistance for this project.